"I learnt in my second semester that college life can be thrilling, but you might want to pack a shield." With plenty of self-deprecating remarks and tongue firmly in cheek, Geetanjali writes about her days as an international student at a leading university in England. Although covering the usual topics of academics and crushes and part-time jobs, this isn't your usual "handbook of student life". Geetanjali takes you along on an adventure as she samples her way across a non-traditional college experience, from joining a Rock Gospel choir to singing in a Portuguese band to fending off sword-attacks in the middle of the night. Whether you are a student embarking on your own college adventure, or simply looking to revisit your university antics, you will enjoy this unique collection of essays. It really is a shame that this book has not received many reviews. It is a lovely, eclectic collection of humorous stories about Mukherjee's life experiences college. Normally, when I read a book that is a collection of stories or anecdotes, there are a couple of stories that hold my attention a bit more than others. That was not the case with Goldilocks, I found all of the stories held my attention; sometimes I laughed and other times I empathized with the author's experiences, but each story was equally engaging and witty. The execution of the book was flawless! The experiences related are well-organized and in order, the back-tracking that one might expect from recollections is non-existent. 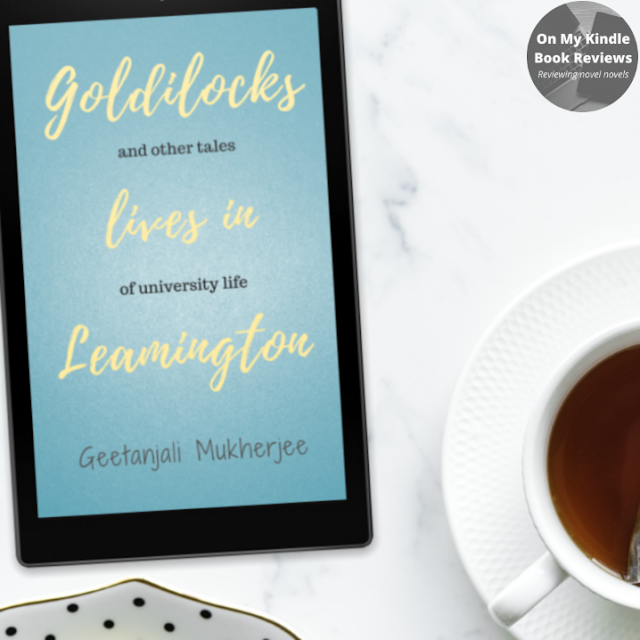 The tone of Goldilocks was very casual and intimate; it was like I was meeting with a friend for coffee and swapping stories about college life. I also appreciated the fact that the author wasn't afraid to poke fun at herself while recounting her escapades and viewed others' quirks with a kind eye. 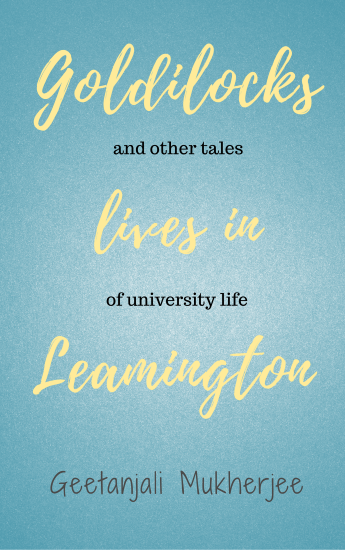 Engaging, fascinating and witty, Goldilocks Lives in Leamington is a humorous coming-of-age discussion about college life and self-discovery. A great read for students preparing to attend college and adults who want to re-visit their own college experiences. Geetanjali Mukherjee, author. Courtesy of Goodreads. Geetanjali Mukherjee grew up in India, spending her early years in Kolkata, and then attending high school in New Delhi. She attended the University of Warwick, United Kingdom, to read law as an undergraduate. She further pursued her academic interests at Cornell University, USA, earning a Masters in Public Administration with a concentration in human rights and social justice. She is also a member of Pi Alpha Alpha, National Honor Society for Public Affairs and Administration, United States. Geetanjali's first book, "Seamus Heaney: Select Poems", is in its 6th edition currently, published by Rama Bros. India. 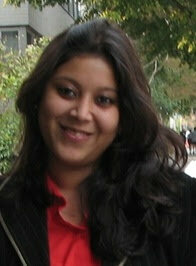 Geetanjali also regularly blogs about creativity and productivity at her blog Creativity@Work. Geetanjali currently lives in Singapore. She can be contacted on Twitter, Facebook or Google+. She loves to hear from readers, so please get in touch through any of the above avenues, or send her an email: geetanjalimukherjee.author@gmail.com. Find Goldilocks Lives in Leamington Online!